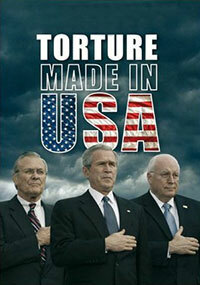 Could key players of the George W. Bush administration be prosecuted for war crimes? Exactly how did the world's most powerful democracy construct and implement a dubious legal framework that no only legalized the use of torture but legitimized it to politicians, academicians, intellectuals, and media pundits alike? Who exactly was behind this dark and hotly debated chapter in American history. Internationally acclaimed journalist and filmmaker Robin Marie-Monique set out to investigative the historic events and the machinations of key policy leaders that led the US to use systematic torture on a massive scale in Afghanistan, Guantanamo and Iraq in the name of "national security" and the "war on terror." Mixing stunning archival footage and on the ground detective work the film includes exclusive interviews with several key players including - General Ricardo Sanchez, former commander of the coalition forces in Iraq (who speaks for the first time on camera), Larry Wilkerson, Colin Powell's former Chief of Staff, Matthew Waxman, former advisor to Secretary of State Condoleeza Rice, Alberto Mora, former US Navy General Counsel, and Michael Scheuer, chief architect of the CIA's "Extraordinary Renditions" program. Mixing stunning archival footage, on the ground detective work and backed by hard hitting interviews from key administration witnesses such as Colin Powell's former Chief of Staff, Matthew Waxman, former White House advisor to Condoleeza Rice, and former US Navy General Counsel Alberto Mora, as well as Michael Scheuer, chief architect of the CIA's "Extraordinary Renditions" program. The film also includes revelatory footage from previously unaired US Senate Armed Services Committee hearings. The story of a hitman for the drug cartels, in Ciudad Juarez, Mexico. Exposes the violence occurring inside prisons throughout America, where prisoners are routinely abused, even tortured, by prison guards.